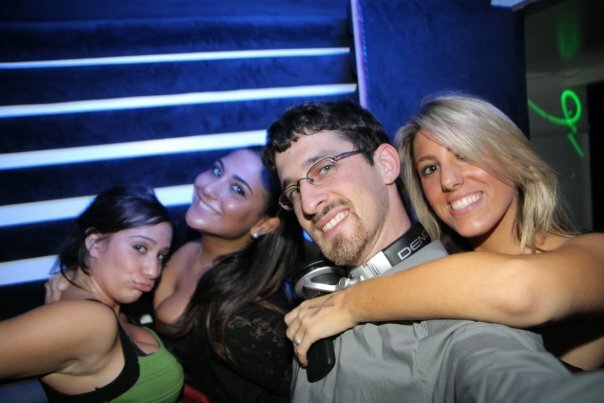 Friday Nights in Washington DC are at Ultrabar where DJ Maskell hosts Ladies Night! Ultrabar is one of the finest DC nightclubs, from the solid hardwood floors to the vaulted ceilings, from the luxurious marble bartops to the chrome accents, Ultrabar is a classy venue that’s a cut above the rest. Featuring Five Floors and Four DJs, its like having four separate clubs rolled into one awesome clubbing experience! Maskell spins House, Dance, and Electro down in the vault level, Geometrix throws down on the main floor with Hip Hop, Top 40, and Mashups, Bomba is upstairs in “The Bedroom” spinning Latin Music, and Tektronics is up in the top floor “Chroma” spinning Dance and Mashups! Age Requirement: 18+ with proper ID. Dress Code: Casual/Fashionable. No Baggy Jeans, Athletic Wear, Shorts, Sneakers etc. Guestlist: Email DJ Maskell with the names of the people coming with you by 7pm Friday. This entry was posted in DJed by Maskell, Hosted by Maskell, in Washington DC and tagged DC Clubs, DC Nightlife, DJ Maskell, Fridays at Ultrabar, House Music, Ladies Night, Nightclubs in DC, Ultrabar by Mark Maskell. Bookmark the permalink.